This series of prints was created as part of the Alt Open House exhibtions in November and December 2016. Curated by Artist and Printmaker, Jessica Sharville, Alt Open House showcased 63 artists across 13 Brighton and Hove venues with the idea of hosting open house style exhibtions and DIY art fairs. Each illustration captures a moment in time, from my travels over the years and the landscapes that I have been lucky to see . Croatia, Sri Lanka, Japan and Iceland hold significant memories and the final illustration of Brighton is an appreciation for where I have now lived for over 10 years. 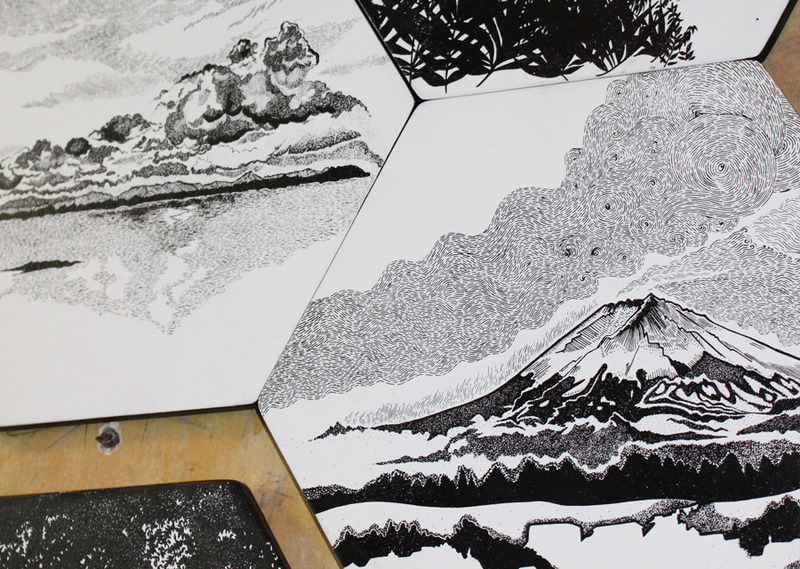 Hexagons: Silk screen-printed using pigment acrylic inks, on laser-cut MDF panels.